Detail: Artscape knows that your home is a place of rest and relaxation, but sometimes harsh incoming sunlight and on looking passersby make it hard to settle in. 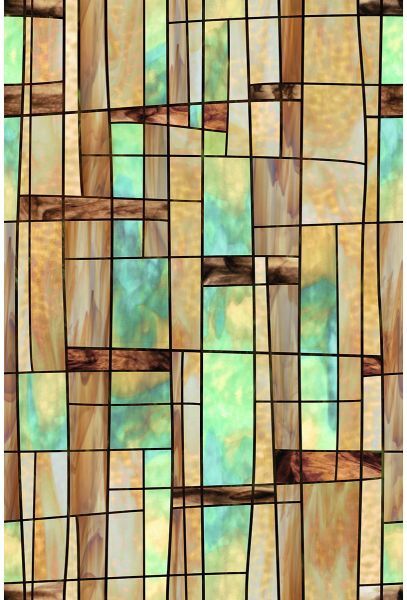 Thankfully, arts cape created a pseudo-stained glass 01-0133 city lights window film to add decorative flare to any window in any room of your home for privacy and uv protection. The window film is a translucent do-it-yourself solution that easily installs on the interior or exterior of an existing window, and provides 82% - 92% protection against harmful incoming sunlight. The window film can be cut or combined with other arts cape window films to custom fit windows of all shapes and sizes, or to create a unique window film pattern. This decorative window film adds to the aesthetic appeal of a room while still allowing natural sunlight to filter and fill the room, and protection from curious passersby who like to view homes from the outside in. The window film can also be removed from the window and reused by simply peeling it off.